In this book James Turner Johnson explores the cultural traditions of the Christian West and Islam in an effort to encourage a constructive dialogue on the nature of war for religion. No other issue highlights the difference between these two cultures more clearly or with more relevance for their interrelations throughout history and in the contemporary world. In the West, war for religion is most often dismissed as a relic of the past, belonging to a time less rational and less civilized than our own. From this perspective, Muslims who advocate holy war are seen as religious fanatics who are supporting criminal and terrorist activity. By contrast, war for religion has an honored place in the Islamic world, associated with a perennial religious requirement: striving in the path of faith by heart, tongue, and hands. This striving is designated by the now familiar term jihad. In fact, striving by the sword is the "lesser" jihad, and many Muslims themselves are troubled by reductionistic appeals to jihad to justify terrorism, revolution, and anti-western activity. According to Johnson, for there to be any dialogue between Islam and the West we must understand that in the West religion and politics are placed in separate spheres, while normative Islam regards religion as properly integral to the political order. From this perspective religious concerns should have a place in statecraft, including the use of military force. Three questions form the heart of Johnson's inquiry: Is there a legitimate justification for war for religion? What authority is required? What is the proper conduct in such wars? In each case, he asks the question by comparing religious wars with other kinds of wars. The picture that emerges is of war for religion not as an expression of fanatical excess but as a controlled, purposeful activity. With an eye to the present day, Johnson examines cases in history where distinctive models of war for religion were implemented by rulers. This in turn sets the stage for critical judgment on contemporary appeals to the idea of jihad in relation to political aims. Well known for his work on peace and just war, Johnson draws upon a wide base of historical and comparative scholarship. 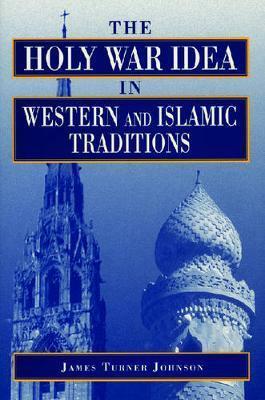 While the book is anchored primarily on the past, on the roots and historical development of the two traditions, his aim throughout is to shed light on contemporary attitudes, ideals, and behaviors, especially as they bear on real problems that affect relations between Western and Islamic cultures in the world today. "[The Holy War Idea in Western and Islamic Traditions] succeeds brilliantly in articulating the categories through which ideological justification for war is conceptualized in the West and in Islamic civilization. This book succeeds in bringing to our attention the important role of religion in the political order, not only under Islam but also in the West and even in our own day. This is an excellent example of how a study of premodern history and ideas sheds important light on attitudes, ideals, and behaviors of the present." --Reuven Firestone, Annals of the American Academy of Political and Social Science "This is an interesting, informative, and imaginative book, worth reading by anyone interested in the subject." --David R. Mapel, American Political Science Review "Johnson's The Holy War Idea serves as an important milestone in the study of the culture and tradition of the non-Western 'other.' He has shown with convincing evidence the need for a constructive 'conversation' between the Islamic and Western Christian traditions on the nature of war for religion and the relation of religion to statecraft." --Abdulaziz Sachedina, International Journal of Middle East Studies "An impressive work, which contributes to the needed dialogue between these two cultures and religions." --T. M. Pucelik, Choice "This book has heightened relevance for a world in which traditional ethnic and religious identities have become major lines of conflict. Johnson has provided a major service to all concerned with the role of religion in political conflict, whether academics, journalists, or diplomats." --Peter J. Hertz, Nova Religio "A judicious use of detail in support of a clearly articulated set of conclusions makes this an accessible study of holy war for readers unfamiliar with the fine points of Western just war theory, the ways of Muslim juridical thinking or both. The Holy War Idea in Western and Islamic Traditions exemplifies to a remarkable degree the potential value of studying critical social and political issues across religious as well as cultural boundaries." --Stanley H. Skreslet, Interpretation "The book is a valuable contribution towards the understanding not only of a difficult question in the two traditions [of the Christian West and Islam] but also of the broader issue of the whole relationship between religion on the one hand and the state and society on the other." --Hugh Goddard, British Journal of Middle Eastern Studies "Johnson brings a wealth of knowledge to bear on the issues, and his style is clear and elegant. The main strength of this book is the author's commitment to taking seriously war for religion as a research topic. . . . Johnson's background and breadth of knowledge force us, as always, to take his arguments very seriously." --Henrik Syse, Journal of Peace Research "Johnson has made a vital contribution in the ongoing conversation between civilizations by his careful, sensitive exposition of the Islamic and Western traditions." James Turner Johnson is Professor of Religion and a member of the graduate program in Political Science at Rutgers University. He is the author of many books, including Can Modern War Be Just? (1986).